Some dogs love playing fetch almost too much — they can chase tennis balls long after we humans get weary or distracted. 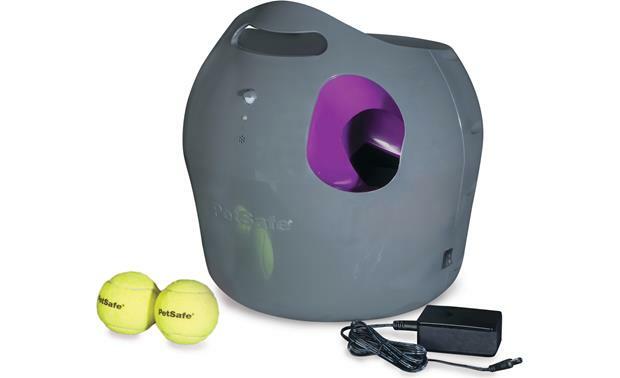 The PetSafe Automatic Ball Launcher can keep going, firing standard-sized tennis balls 8-30 feet away for your pooch to chase. You can also set it to fire at varying angles to keep things interesting. 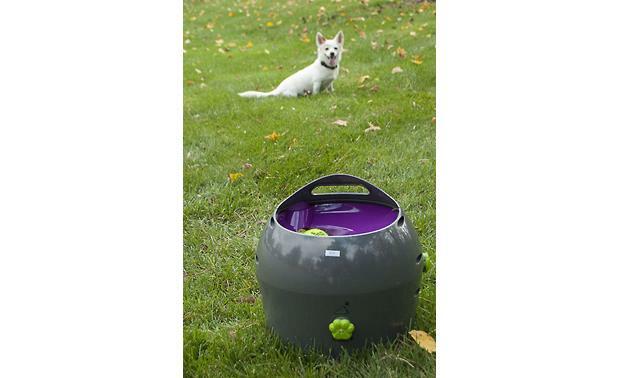 Teach your dog to reload the PetSafe Automatic Ball Launcher himself. Safety is crucial, of course. There's an automatic shut-off that keeps the game from going on too long and wearing your dog out. And built-in sensors pause the machine if a dog or human gets in front of the nozzle, so nobody gets hurt. 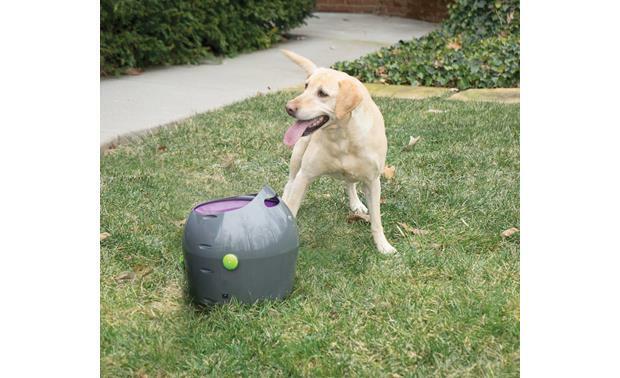 Overview: This PetSafe Automatic Ball Launcher is an interactive fetch device that can keep your dog active and entertained for hours. 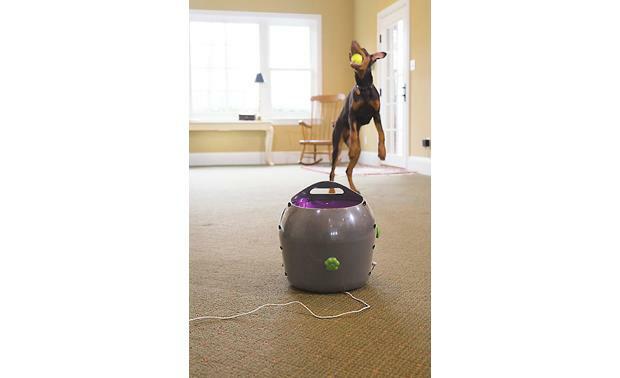 It can launch a standard-sized tennis ball between 8 and 30 feet at up to a 45° angle. 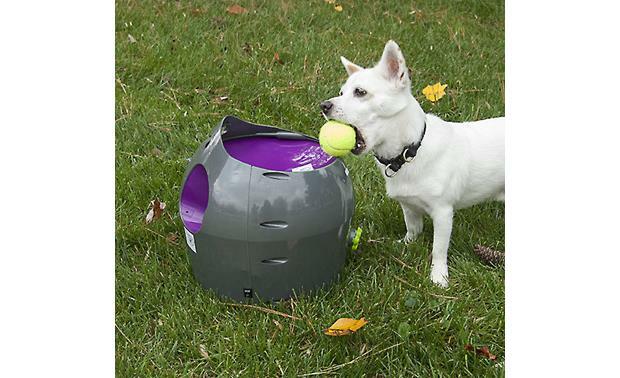 Teach your dog to return the ball to the hopper, and the games will continue as long he wants. Distance and angle settings are adjustable to make the actions appropriate for indoors or outdoors. It also has safety features to keep both humans and canines safe. The water-resistant Automatic Ball Launcher can be powered with the supplied AC adapter or by 6 D-cell batteries (not included). Hopper: The Automatic Ball Launcher has a large hopper that will hold up to 3 tennis balls at a time. It is recommended that on the higher distance settings, only one ball should be placed in the hopper at a time. Lights/Tones: The launcher has a single LED on the front, just below the motion detector. The light will glow green every 10 seconds to indicate the battery is good. If it flashes red 3x quickly, the battery is low. A red light flash every second indicates an error has occurred. During sleep mode the LED will glow orange once every 10 seconds. The device also has a number of beeps and tones for Play Time (Low/High), Rest Time (High/Low), Ball Detection and Launch (6-tone Melody), Error (3 tones of the same note), and Motion Detection (1 second tone). Settings: The Ball Launcher has two knobs for making adjustments. The Tennis Ball Knob lets you adjust the distance from 8 feet to 30 feet (9 settings). The Paw Knob is for adjusting the launch angle between 20° and 45° (6 settings). Both knobs have notches for incremental selections, and require pulling out before turning to the desired setting. Motion Detector: A motion sensor on the front of the ball launcher will prevent the ball from launching for 5 seconds. 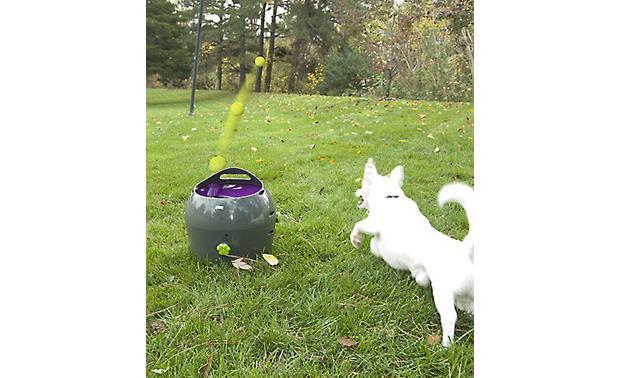 The sensor can detect movement directly in front of the launch pocket between 1' and 7' away to protect your dog (or human) from a ball launch at close range. You should teach your dog to stand to the side or at least 7 feet away when playing fetch. In addition to the motion sensor, the Ball Launcher has a sensor inside the launch pocket. If that sensor detects a foreign object in the pocket, the ball will not launch. 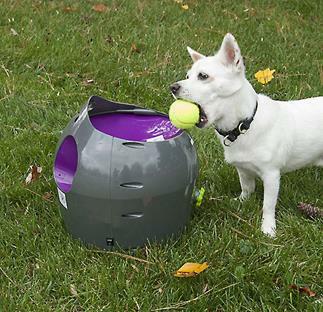 Rest Mode: To prevent over-exercising your dog, the Automatic Ball Launcher will only play for 15 minutes at a time. When the Rest Mode begins, the unit will play a 2-tone melody (high/low) and go to sleep for 15 minutes. If a ball is in the hopper when the Rest Mode ends, the Ball Launcher will wake up, play a 2-tone melody (low/high), and launch a ball. The Rest Mode can be overridden by turning off the power button for at least 10 seconds, then turning it back on. Will medium size chuck it balls work with this? The Automatic Ball Launcher has a large hopper that will hold up to 3 tennis balls at a time. For more details or to discuss further, please contact an Advisor directly by phone (888.955.6000) or online chat. Thanks! 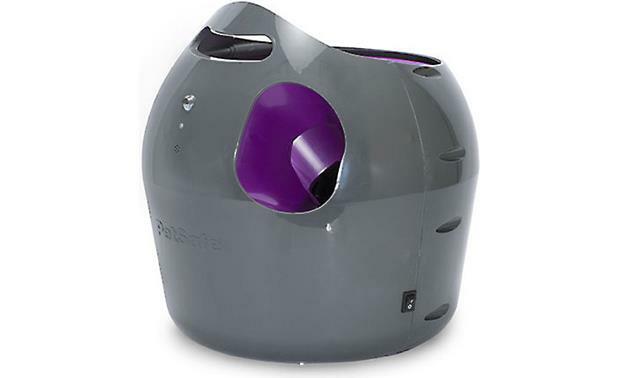 Searches related to the PetSafe Automatic Ball Launcher Interactive dog ball launcher.